Having lived on each coast and with roots in the Midwest, Jill brings to The Revs a truly diverse set of musical influences. Before she started singing, her creative outlet was in the visual arts painting the life experiences of others on canvas. One night at a Blue October house concert, people heard her singing along and she obviously impressed the right person. She was soon given an opportunity to join a local Blue's band as a back up singer. She quickly began singing back up and lead vocals with some of the best bands in the Central Texas area including David Ybarra's L.A. Blues Band, Michael Rodriguez of Wyzer, Pepper's Blues, Rabb Rodriguez y los Killa' Hogs, and Benjamin Lin's Jam at Treff's Tavern. As her experience grew signing with such talented musicians, Jill and her fellow back up singers were soon wondering if they could create their own project and as Jill put it, "paint on a different type of canvas". This culminated in the creation of The Revs as it exists today. "I look at every song selection and styling from the perspective of a seasoned live music veteran. What gets the audience dancing and creating synergy is a gift we get from them." Was born at a very early age. He was very small at the time. As the years passed he grew and aged until only recently reaching his current age and height. Ace was born on a small planet in another galaxy, the son of loving parents. As his home planet was being destroyed his parents sent him to Earth to fight for truth, justice, and the American way. Unfortunately he became a musician instead. Ace has been playing guitar for over 30 years, in hundreds of bands you’ve never heard of. Ace speaks fluent rock, blues, and country, and conversational jazz. He is also a studio engineer, live sound tech, plays guitar, bass, drums, and keys. He also designs websites, builds custom guitar amplifiers, and cooks a mean scrambled egg. Perfect Date: April 29th. It's not too hot, not too cool, and you only need a light jacket. is originally from San Marcos, TX. She has fronted several bands (Humble, Shifty Go-Betweens, Jumbofunk) as a vocalist and guitarist. LeAnn has now come home to her rock-n-roll roots with The Revs. She is honored to play amongst these seasoned musicians and is always looking for a little more volume and a lot more distortion! has been playing music his whole life and loves the opportunity to come together with amazing artists to create beautiful moments. As for The Revs, Noah says "there is a purity in the Revs that has proven to guarantee a good time. Born in Austin, Tracy spent most of her young life in Central Texas. During that time she was heavily influenced by the harmonies she heard in church, as well as her mom’s love for artists such as Roberta Flack, Jim Croce, Peter Paul & Mary, and Simon & Garfunkel. After brief periods of living in Galveston, Dallas, and attending Texas State University, she returned to Austin in 1993 and settled into a new church to call home. It was there that her music talent, which had previously been undeveloped, began to be crafted. What started out as singing first soprano in a large choir eventually grew to performing in several small ensembles as well as providing backing vocals for visiting guest artists. Music took a back seat in 1997 when she moved to San Marcos to start a family, but re-emerged in 2014 by adding backing vocals to David Ybarra’s L.A. Blues Band for Summerfest. Since then she has enjoyed lending her voice to various musical projects. 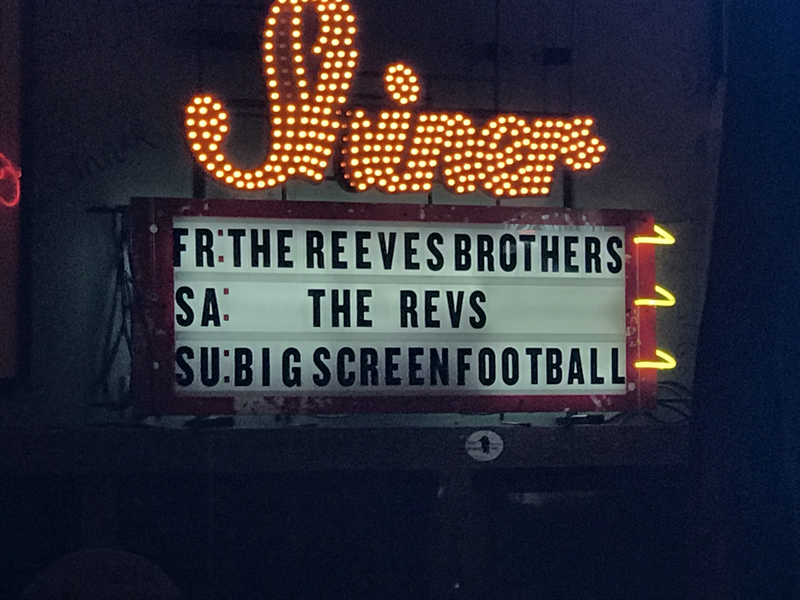 Most recently, Tracy and Jill joined forces with some of the best talent in the Central Texas area to form this new and exciting project, The Revs.